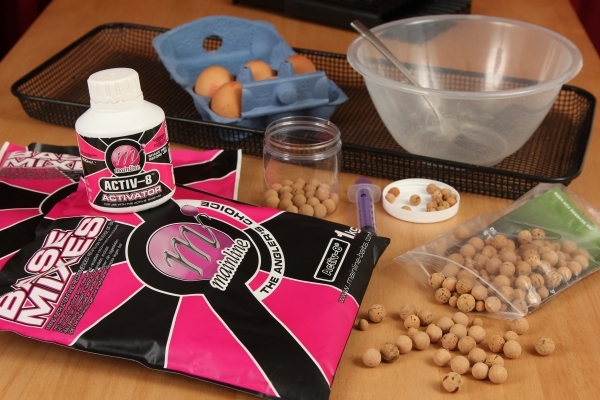 One cap full (15ml) Activ-8 Activator, Activ-8 Dedicated Base Mix, Cork Balls and two eggs. Mixing Bowl, Measuring Syringe or Pipet (optional), Fork, Spoon(s), Saucepan and Sieve or Strainer. 24HRS air-drying - preferably five to seven days. 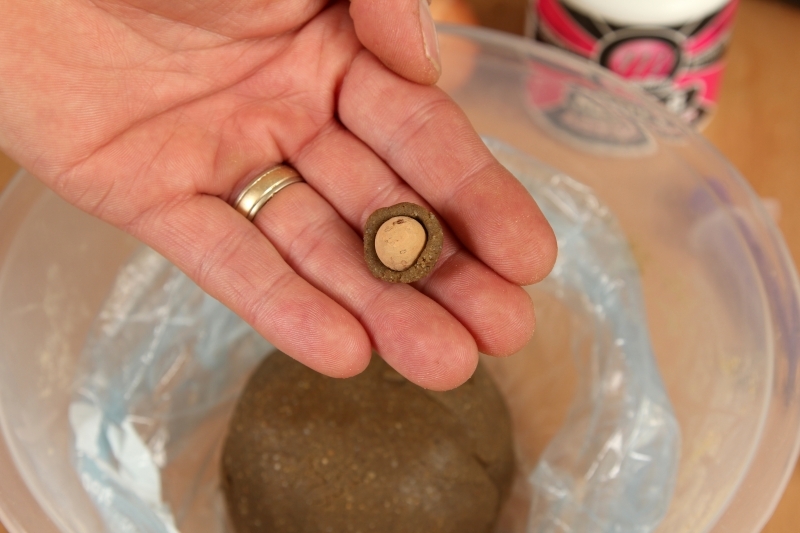 ‘Cork Ball’ pop-ups were one of the first ways anglers were able to fish a boilie type hookbait up off the deck. The fact that they are still as popular today, despite the reliability of readymade pop-ups is a clear mark of how effective they can be. 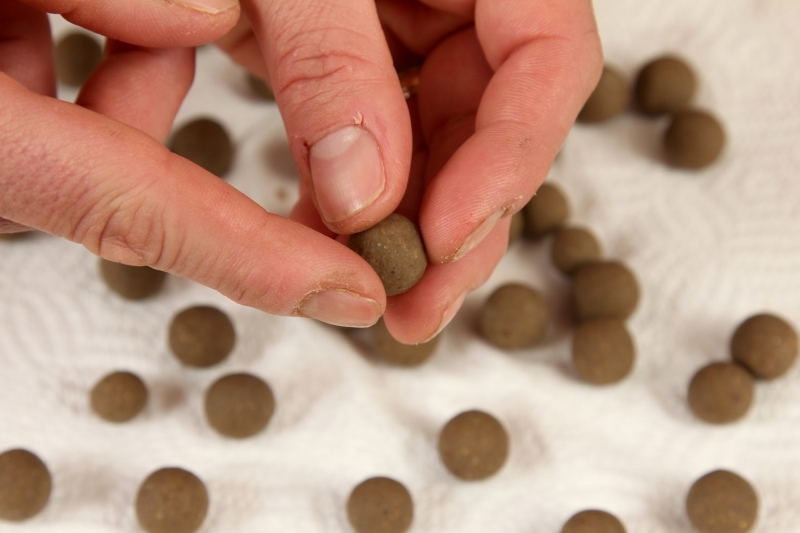 Yes, the cork ball ensures a high-buoyancy is ensured, a key requirement of heavier rigs such as the Stiff Hinge Rig and Chod - but they are other advantages to gain. Firstly, you are using the exact same base mix makes your free boilies, matching them perfectly in both smell and appearance – so nothing to lower the confidence of feeding fish. Alternatively you can, as we have done here ‘up’ the level of flavour to increase attraction and help the smaller amount of paste used produce a good food signal. 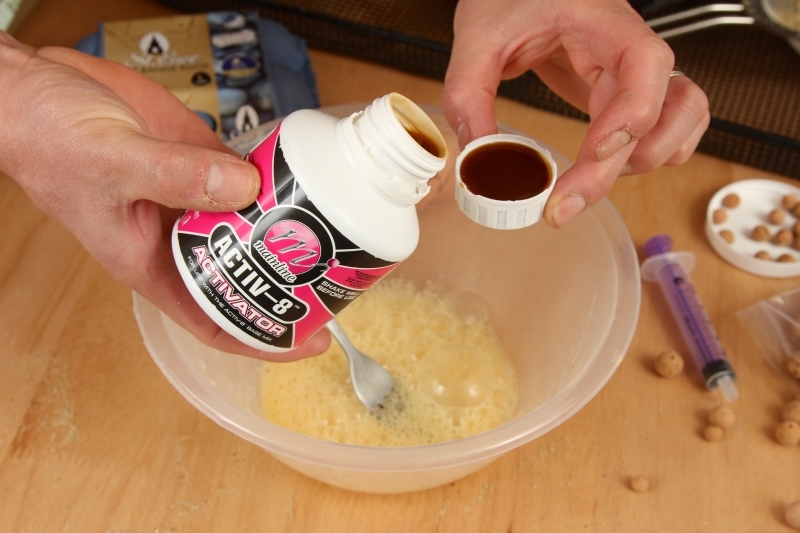 You can also tweak the bait with another additive you feel could give you an edge. 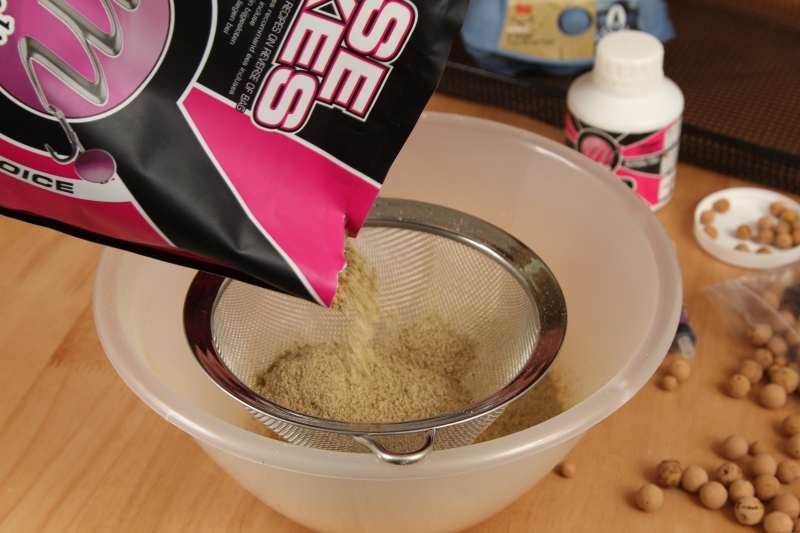 01 Start by sieving around 300grams of base mix removing any larger items that can protrude through the skin of the finished bait to allow undesired water ingress. 02 Crack a whole egg into the mixing bowl next followed by just the white of another egg, which will act as a hardening agent to help secure the thin layer of paste used. 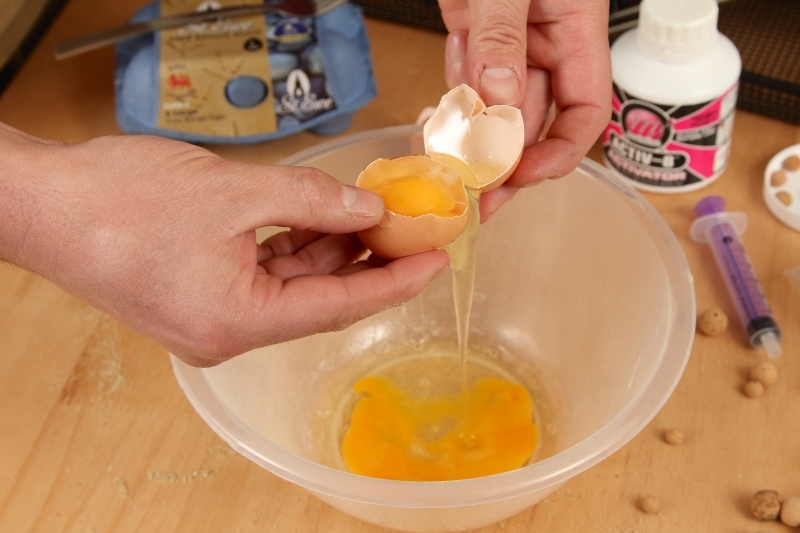 03 Add a cap full (15ml) of Activator to the egg liquid next &ndash; you can also add any other liquid flavours at this point although this is optional and not essential. 04 Now add the sieved Activ-8 base mix or dedicated base mix of your choice to the bowl a little at a time. 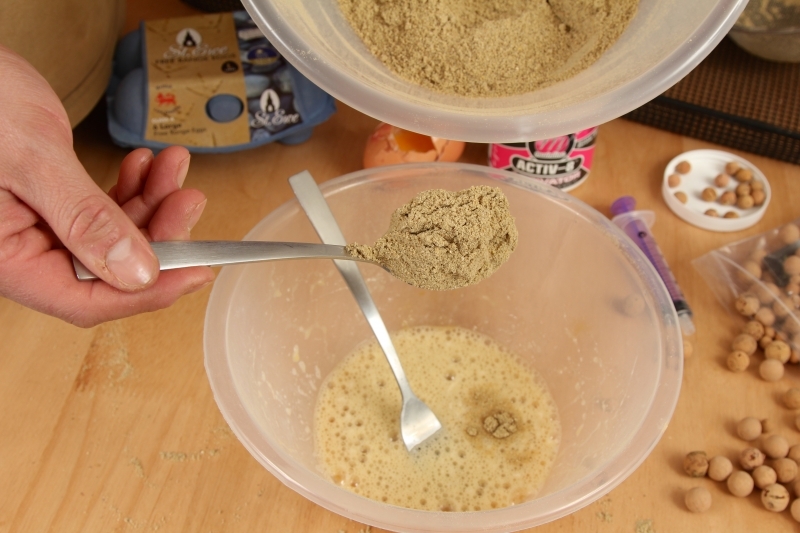 Mixing with a fork then by hand to build-up the paste. 05 Your looking for a consistency where the paste no longer sticks to your hands and the texture is firm yet pliable then place in a plastic bag to prevent it drying out. 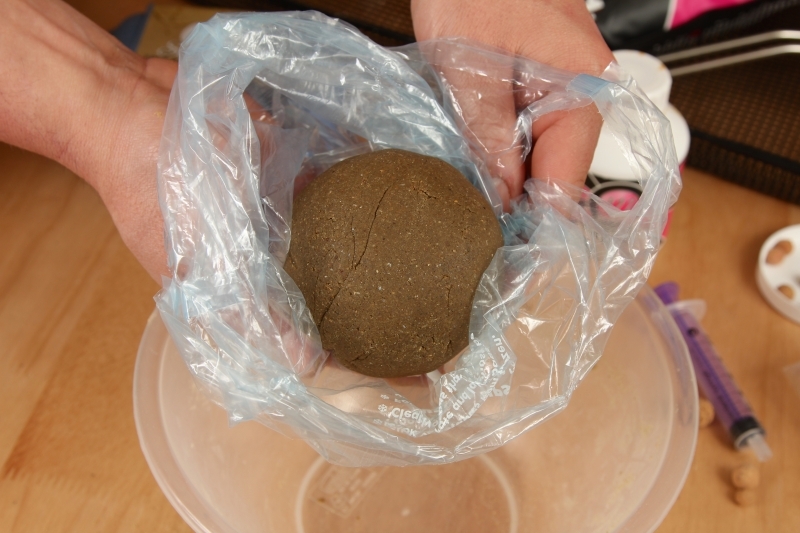 06 Pinch a small piece of paste and flatten it in the palm of your hand and place a cork ball in the centre like so. You want just enough paste for a thin and even layer. 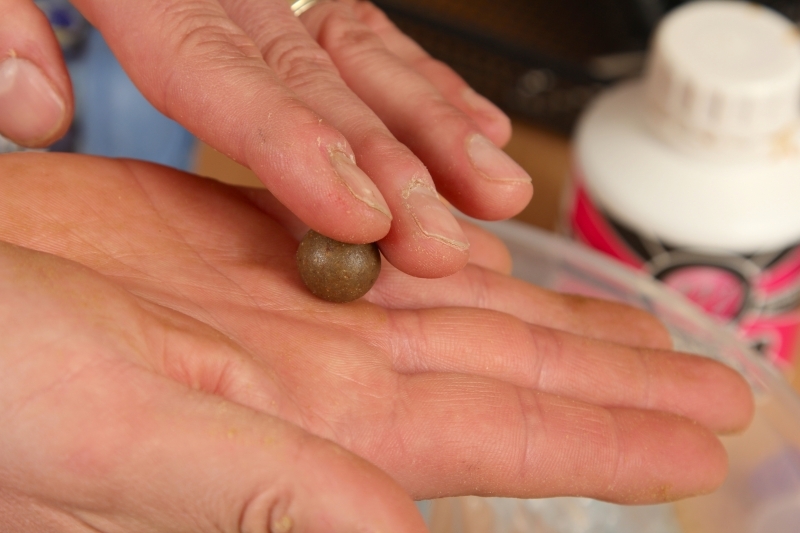 07 Roll the paste wrapped cork balls between the palms of your hands to make 40-50 hookbaits and freeze the remaining paste to make fresh pop-ups at a later date. 08 Because of the thin paste boil the baits for just 45-60seconds and place on a towel; at this point you can gently flatten any air-bubbles in the skin of the pop-ups. 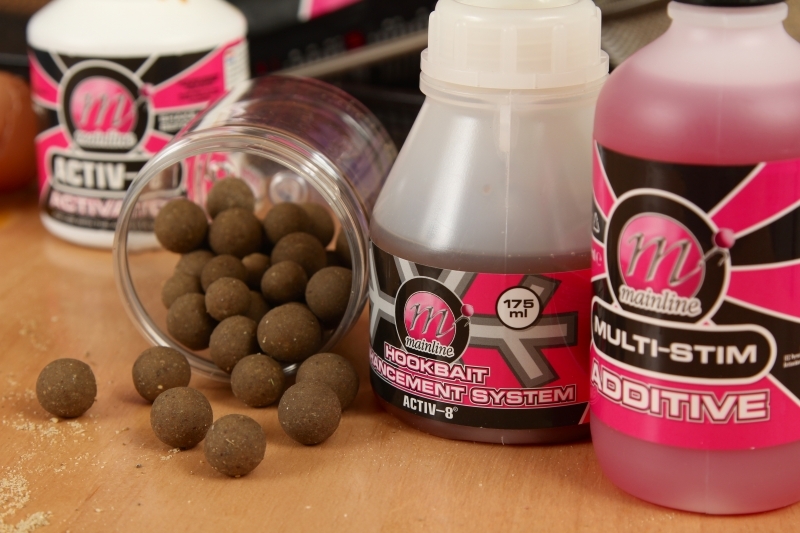 09 The baits will be ready to use after a few hours, but ideally, air-dry for several days before storing and perhaps adding some Hookbait Enhancement System glug. 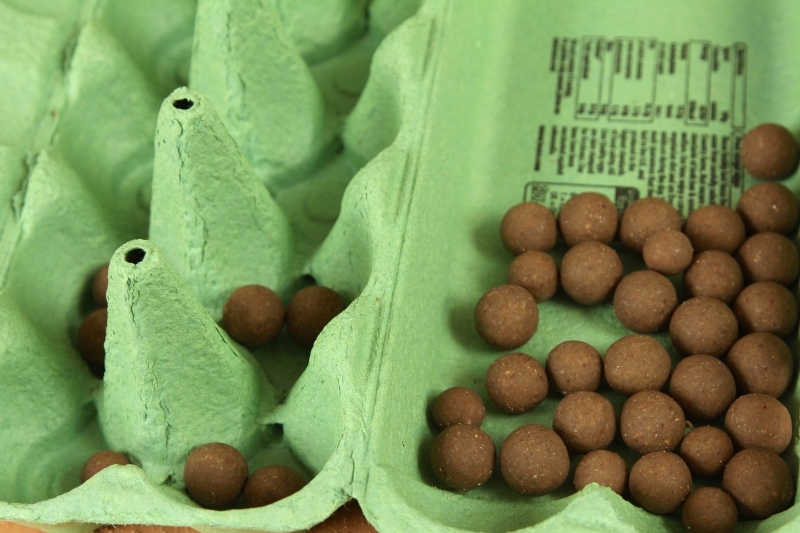 Top-Tip: Empty egg cartons are perfect for air-drying your baits and allow them to harden-up.